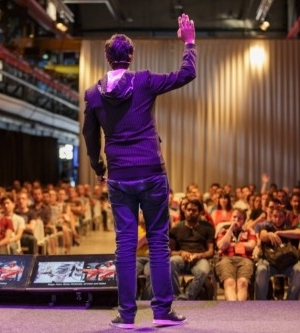 Codemotion is the biggest tech conference for software developers in EMEA, with an international network of over 40.000 developers and more than 3.000 speakers. Codemotion is open to all languages and technologies, with a focus on topics such as Front-End/Back-End, Security, DevOps/Architecture, IoT/Maker, Cloud/Big Data, AI/Machine Learning, Design/UX, Game Dev and VR/AR. Codemotion Amsterdam has drawn about 800 attendees in 2017, and we are expecting even more for 2018. Since our conferences attract developers, IT professionals and tech lovers with different backgrounds and levels of experience, we provide our attendees with technical excellence, cutting-edge technologies as well as hands-on activities, best practices and case studies to allow them to grow into even better developers. Be part of it all: join Codemotion Amsterdam on May 8-9 2018!